I know you're saying "Ashley, I thought the whole point of this movement is to make the world a better place, shouldn't we be doing nice things for other people?" The answer is yes, do nice things for others but don't forget about yourself. I find that most people who are busy caring for other people all day often forget about themselves. And it's really hard to be nice to others when you get to the point where you have neglected yourself for so long that you just feel worn out. But beyond these little things that you can do FOR yourself, I want you to be nice TO yourself. 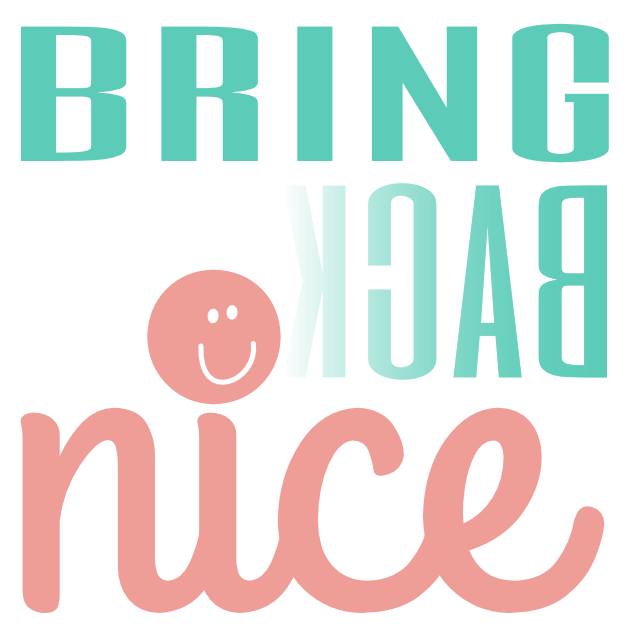 Bringing Back Nice is a mindset. It's a movement to bring back kindness into every day life. And you can't be nonjudgmental, compassionate, and kind to other people if you are constantly beating yourself up. You do not need to put yourself down to bring someone else up! Be kind to yourself not just in the actions you do that other people can see like treating yourself to a nice hair cut but in the way you talk to yourself and the way you treat yourself. Give yourself some grace. I read a quote once that to paraphrase said "If we treated our friends like we treated ourselves, we wouldn't have any friends left." And that's just sad. What a great challenge. The world needs more kindness these days :). Off to check out the fb group too!